Ask #SkinishMom – Holiday is so not Relaxing! Posted byMei 19 June, 2015 11 May, 2015 Leave a comment on Ask #SkinishMom – Holiday is so not Relaxing! 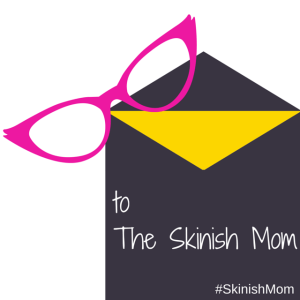 Ask #SkinishMom any question – parenting, skin, eczema or plain venting! I’m so upset, holiday is supposed to be fun and relaxing right? But it never turned out that way. If we actually go for a holiday, I’d end up packing everyone’s bags, planning the itinerary, cleaning up the home and the dirty clothes. That’s still not the worse part. The worse is when we actually stay at home and entertain guests – gosh, my spouse and I would always end up quarreling and tension run sky-high. What’s up with hols, is it just me? It is so nooorrrrmal (yawn). It happens all the time – my theory? When we are up to our neck dealing with a regular workday, we don’t have time to quarrel. My guess is no one in the family has had the time to even look (like really look and appreciate the other person, as opposed to Yo, Where are my socks?) at each other, let alone talk. If you don’t have time to talk, you can’t quite quarrel. But on a holiday, especially one where you stay at home – you’d have started a long weekend with the hope of getting your own stuff done (sorting photos, getting that manicure, baking a new recipe) but by the time you reach the middle of your break, you realized that it’s so not going to happen. Instead, you have to rush to the grocery store to get ready for the home party, clean up the house for the guests (and the thought of cleaning up after is already killing you), cook and then pretend to be the calm hostess while inside, you’re screaming everyone’s head off. Then the quarrel and tension come whenever it’s just you and your spouse – blaming about not doing fair share of work, mostly. This theory is from Sigmund Freud that small differences among people who are similar lead to them being hostile to each other. So family members who are similar tend to be hostile over a minor difference like which candidate to vote for! Survey showed that jealousy is the common reason why most couples quarreled during vacation, because the men had wondering eyes for other women! Others were worried over everyday issues (finance) or wanted to be in control of what to do during the vacation. This is a given. Do not associate holidays with rest. Full-day, 24/7 care for your kids (school and alternative caregivers like your parents are having holidays, remember?) is bound to lead to exhaustion. No afternoon coffee breaks and gym workouts at lunch will upset you more than you think. Exhaustion is one of the key reasons why couples quarrel on holiday and when you think of it, it’s not just physical exhaustion. It’s mental as well – exerting mind control over your eczema child to pleeaaase moisturize and your hubby to just clean that up! It’s the June/ summer holidays – be mindful of the above, lower your expectations on what can be accomplished during this ‘break’, do less and consider not meeting people who will set you off. No excuses for the men with lustful eyes for other ladies; if you happen to be with one during your vacation, dump him and your baggage be lighter!